The latest Chesterfield magistrates’ court results as published in the August 4 edition of the Derbyshire Times are listed below. Nicholas James Fullwood, 41, of Wingfield Road, New Tupton, Chesterfield. Pleaded guilty to damaging a Ford Focus. Must pay £100 compensation. Indicated a guilty plea to having an offensive weapon, namely a baseball bat, in a public place without lawful authority or reasonable excuse. Committed to prison for six weeks suspended for 12 months. Must pay a £115 victim surcharge and £85 costs. Pleaded guilty to using threatening behaviour. No separate penalty. Jayson Lee Hardwick, 39, of Annesley Close, Hasland, Chesterfield. Non-payment of a £910,35 fine imposed on November 10, 2014. Committed to prison for 14 days in default of payment of £910.35 concurrently to a present sentence. Pleaded guilty to stealing 13 DVDs. Pleaded guilty to stealing alcohol from Marks and Spencer. Commission of a further offence during a suspended sentence order for the offences of threatening behaviour, three thefts and a public order act offence. No adjudication. Pleaded guilty to failing to surrender to custody while on bail. Dealt with for the original offences which were subject to a suspended sentence order including harassment, stealing a bottle of fragrance from Debehnham’s, stealing perfume belonging to Debenham’s, using threatening behaviour and stealing DVDs and an electrical item belonging to Tesco Extra. Pleaded guilty to stealing two cans of Special Brew and crisps belonging to the Spar shop. Pleaded guilty to another count of using threatening behaviour. Pleaded guilty to assaulting a police constable. Pleaded guilty to stealing alcohol belonging to the Co-op. Pleaded guilty to another count of using threatening behaviour. Must pay £225 compensation. Committed to prison for 32 weeks. Karl James Skipworth, 21, of Cauldon Drive, Chesterfield. Pleaded guilty to being drunk and disorderly in a public place. Discharged conditionally for one year. Must pay a £20 victim surcharge and £85 costs. Joshua Andrew Hibbert, 20, of Lansdowne Road, Brimington, Chesterfield. Admits failing to comply with the requirements of a community order by failing without reasonable excuse to perform work or provide proof of absence within a specified time. Order to continue with new and varied requirements including 130 hours of unpaid work within the next 12 months. Davey Holmes, 19, of Duke Street, Creswell. Admits failing to comply with the requirements of a community order made by Chesterfield magistrates’ court by failing without reasonable excuse to perform work as directed or provide proof of absence within a specified time. Order to continue with new and varied requirements including 60 hours of unpaid work within the next 12 months. Lucy Killawee, 36, of Old School Lane, Creswell. Admits failing to comply with the requirements of a community order in that she failed without reasonable excuse to report to the relevant officer as instructed or provide proof of absence within a specified time. Order to continue with new and varied requirements including a curfew with electronic monitoring for 28 days with the original Rehabilitation Activity Requirement. Bruce Holdsworth, 58, of Ennerdale Close, Dronfield Woodhouse, Dronfield. Pleaded guilty to exceeding the alcohol drink-drive limit. Fined £575 and must pay a £57 victim surcharge and £85 costs. Disqualified from driving for 28 months. Carl Andrew Hill, 42, of Long Croft Court, Chesterfield. Pleaded guilty to failing to provide a specimen when required to do so in the course of an investigation when suspected of having been in charge of a vehicle. Fined £150 and must pay a £30 victim surcharge and £85 costs. Disqualified from driving for ten months. Emil Michal Zukowski, 32, of No Fixed Abode. Pleaded guilty to exceeding the alcohol drink-drive limit. Fined £120 and must pay a £30 victim surcharge and £85 costs. Disqualified from driving for 14 months. Pleaded guilty to using a vehicle without insurance. No separate penalty. Lee James Yeomans, 38, of Mound Road, Boythorpe, Chesterfield. Pleaded guilty to exceeding the alcohol drink-drive limit. Must pay an £85 victim surcharge and £85 costs. Disqualified from driving for 24 months. Community order to last until July 25, 2017, with 100 hours of unpaid work. Pleaded guilty to using a vehicle without insurance. No separate penalty. Pleaded guilty to using a vehicle without a test certificate. No separate penalty. 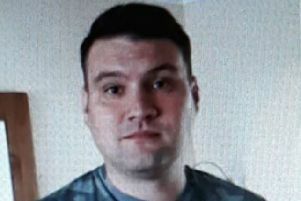 Benjamin Jon Cutts, 36, of Ivy Spring Close, Wingerworth, Chesterfield. Found guilty of using a vehicle without insurance. No separate penalty. Found guilty of driving a vehicle without due care and attention. Fined £450 and must pay a £45 victim surcharge and £350 costs. Driving record endorsed with seven points. Daniel Hugh Mather, 43, of Wheatcroft Close, Wingerworth, Chesterfield. Found guilty of permitting Benjamin Cutts to use a vehicle when there was not in force a policy of insurance. No totting disqualification due to mitigating circumstances because he would lose his employment without a licence. Fined £690 and must pay a £69 victim surcharge and £350 costs. Driving record endorsed with six points. John Sutcliffe, 53, of Ashford Avenue, North Wingfield, Chesterfield. Pleaded guilty to having a vehicle registered in his name which did not meet insurance requirements. Fined £100 and must pay a £20 victim surcharge and £110 costs. Kieran Lee King, 26, of Firs Avenue, Alfreton. Pleaded guilty to two counts of assault by beating. Pleaded guilty to damaging a door to a value unknown belonging to DG Scott Ltd. Must pay £270 compensation and an £85 victim surcharge and £85 costs. Community order to last until July 21, 2017, with a Rehabilitation Activity Requirement and 150 hours of unpaid work. Carl Christopher Pepper, 33, of Argyll Road, Ripley. Pleaded guilty to stealing beef steaks to the value of £20 belonging to the Co-operative Retail Services. Must pay £20 compensation. Michael John Weldon, 26, of No Fixed Abode. Pleaded guilty to stealing wine belonging to Midlands Co-op Food to a value of £6.75. Committed to prison for 14 days consecutive to a sentence imposed on July 8, 2016, suspended for 12 months. Must pay £6.75 compensation. Paul Merrick, 46, of Oak Bank Avenue, Old Whittington, Chesterfield. Pleaded guilty to stealing perfume valued at £112.50 belonging to Boots the Chemist. Must pay an £85 victim surcharge and £85 costs. Indicated a guilty plea to causing harassment. Community order to last until July 21, 2017, with a 12 week curfew and electronic monitoring with a Rehabilitation Activity Requirement. Must pay £50 compensation. Daniel Robinson, 27, of Gorse Valley Road, Hasland, Chesterfield. Pleaded guilty to stealing two t-shirts to the value of £65 belonging to JD Sports. Admits committing a further offence during a suspended sentence order for stealing meat to the value of £90.38 belonging to Lidl. No adjudication. Dealt with for the original offence which was subject to a suspended sentence order of stealing meat valued at £90.38 belonging to Lidl. Must pay a £115 victim surcharge. Committed to prison for 18 weeks. Stefan Liam Watkinson, 21, of Thanet Street, Clay Cross. Indicated a guilty plea to stealing aftershave valued at £32.98 belonging to Boots. Pleaded guilty to failing to surrender to custody while on bail. Indicated a guilty plea to stealing two paddling pools valued at £140 belonging to Tesco Stores Ltd. Indicated a guilty plea to stealing Lynx deodorants valued at £37.80 belonging to Boots. Must pay £37.80 compensation. Committed to prison for 18 weeks.